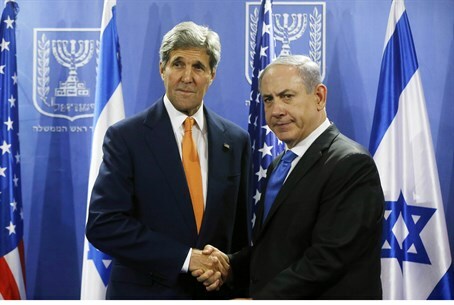 Binyamin Netanyahu allegedly called up Daniel Shapiro and John Kerry to say 'I told you so' after Hamas broke truce. Prime Minister Binyamin Netanyahu reportedly had harsh words for the White House on Friday, according to the Associated Press, warning the administration of US President Barack Obama "not to ever second guess me again" after Hamas broke a 72-hour truce with Israel and attacked Givati soldiers in Rafah. Netanyahu reportedly stated that he "should be trusted" on Middle East issues regarding Israel's security and that he "expected" full US support for Israel's decisions in Gaza. He also allegedly made similar points in a phone call to US Secretary of State John Kerry. On Friday, both Kerry and the White House would decisively change their tune on Operation Protective Edge, having lambasted Israel for Palestinian deaths on Thursday - and harshly called out the Israeli press for criticizing the US's stance toward Gaza earlier in the week - and then suddenly swinging back to blame Hamas for breaking the cease-fire. The White House condemned the Hamas attack as a "barbaric" violation of the 72-hour humanitarian ceasefire which began just hours before. "The Israelis of course are reporting this morning that that ceasefire was broken," White House spokesman Josh Earnest told CNN. "And that apparently Hamas individuals used the cover of a humanitarian ceasefire to attack Israeli soldiers and even to take one hostage. That would be a rather barbaric violation of the ceasefire." Later, Obama himself called on Hamas to allow Lt. Hadar Goldin, who was presumed abducted and later declared dead, to "be unconditionally released as soon as possible,” citing the need for an "immediate" cease-fire agreement in Gaza. Kerry also called the Hamas attack an "outrageous violation" and demanded that Hamas "immediately and unconditionally release the missing Israeli soldier." It is unclear whether Netanyahu's phone calls came before or after the US's comments on the issue.